The producer event to Get to Work in Cologne was a great adventure as always and we had tons of fun. It was great to see everyone and meet new people and the rich food buffet was great too. A big thank you to everyone involved. Unfortunately we didn’t get to see the presentation since something was broken but SimGuruAzure gave us a short introduction and then we had about 5 hours hands-on time with the new expansion. This is of course not enough to test everything thoroughly but it gave us enough time to take a look at all the aspects. I spend a lot of time in the detective career, since that’s what interested me most. The version we had to play was not the final version and still had problems and bugs that hopefully will be fixed before release. Azure seemed to know all of the ones I’ve encountered. The game will be released on March, 31st in the US/Canada, April 2nd in Europe and Australia and on April 3rd in the UK. The game was only available to play in German so all my screen shots are in German. I also do not know if some of the translations are accurate. The manage world looks a little different now. Instead of all the worlds being available to switch in the upper left corner, you will now see a globe to click on that brings you to a overview screen with all the worlds. The new world is called Magnolia Promenade and consists of four new lots. You can build on them whatever you please. In our save game 4 were taken up by retail businesses but if you start a new game, the one in the upper left corner is empty. The lot sizes are as follows: 40×30, 30×20 and two 20×20. 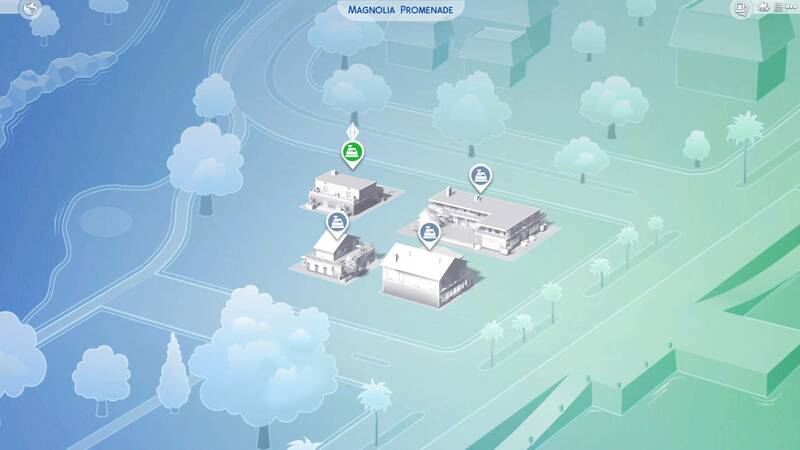 The police station, the science lab and the hospital do not exist on the map, since you can only go there through the careers or if your Sim is pregnant. There is a cheat though with which you can edit those lots to your own liking. : bb.enablefreebuild. I do not know how the cheat works in detail. There aren’t any new options but on the main menu there’s a button which showed an overview of the installed expansion packs. Unfortunately I missed checking if you can uninstall them through that screen. Relationships now have a new status called colleague and you can see the details of the careers your friends are in (occupation and work times). The patch to this expansion we’ll be release end of march and will have basements for everyone and an extra level above ground. You can build two levels down and one up which now gives us a total of 6 levels. Active careers all work the same way. When they are supposed to go to work, you’ll get a pop-up asking if you want to accompany your Sim to work or if they should go alone. If you send them to work on their own, the career works like a rabbithole one. Sim is shown as working. If you don’t play them, they will still earn money and advance but not as fast. If you play multiple active careers in one household, there’s no other way then sending some on their own. You can only play one active career on any given day. It’s not possible to switch between active careers during a work day. You can switch to a Sim at home while your Sim is in an active career though but there’s no going back for that day (unless you’re me, then you manage to do that anyways). 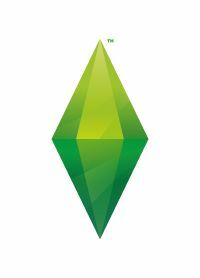 If you have two Sims in your active family in the same career, they won’t meet each other at work and you can only play one. It’s a bit like the work in two different (identical) locations. 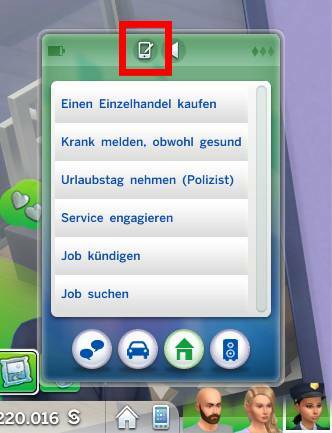 I think this was chosen to prevent issues and to not have to explain why you can’t switch to another Sim at work when you can see that the other one is there as well. The careers are very goal oriented and during your work day you’ll get several task assigned, that you should do to get the most out of the career. You work a certain amount of hours which can be prolonged once by one hour if you choose to do so. You can also leave any time and go home with your Sim. The detective career starts with a introduction to police work. You don’t get your own cases on the first level but the game tells you that you’re accompanying an other police officer on their case. The first day starts with your Sim getting a case assignment on the computer and he then travels to the crime scene through the crime map. The crime scene is a random lot in your world and you can collect evidence, take photos and interview witnesses. This is only possible on pre-defined objects though. Then you go back to the police station with pictures and evidence in your inventory, to analyze and book them. You won’t be able to go back to the crime scene so make sure you do everything you can there. You do get a warning about this. Photos and analyzed evidence can then be added to the crime map and you find more and more information about the suspect. On the telephone there is now a note book where you can find all info your Sim has deducted from the evidence. This can be info about the age, clothing, hair color or similar things. You can issue a warrant for the suspect once you collected enough evidence and then you’ll be sent to a lot where the Sim was supposed to be seen. It’s up to you to find him there. You can ask other Sims about the suspect and you’ll get great answers like: Haven’t seen him or he went in that direction. Once you found the Sim, you can arrest him and bring him back to the police station where you take fingerprints and take a police photo of the suspect. Then you can question the Sim and if you are in luck, you arrested the right Sim. I do not know how big the consequences for a false arrest are. There’s also small task you can do at the police station like listen to the report of an random Sim that you’ll find at the reception, talking to the police president or going on patrol in town to make sure everyone is behaving. You can also discuss your cases with your colleagues. You can also arrest Sims while you’re on patrol but I haven’t really find out what the criterias for that are. The option would appear on some Sims and not on others, it was pretty random. You can’t arrest children though. On the reception there was also an option to attend to it but I don’t know what that does since I didn’t try it. Usually there’s someone sitting there. In the beginning you get a new task each day and won’t be able to finish a case. This is cause you are still in training and should change once you climb up the ladder. Once you get your own cases, you can work on those through several days. The doctor in the save game we got was already a surgeon and quite experienced. The daily routing at the hospital consist of diagnose patiens and if possible to heal the. It is possible to misdiagnose patients which can have consequences. 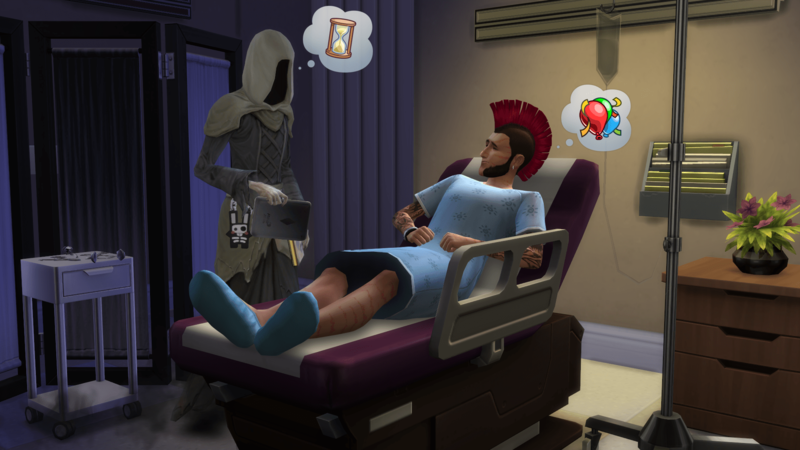 EA gave us this screenshot which I can’t further comment on since I only played one day at the hospital. In the hospital you find Sims of all age groups who wait in the diagnostic rooms and the reception to be healed. 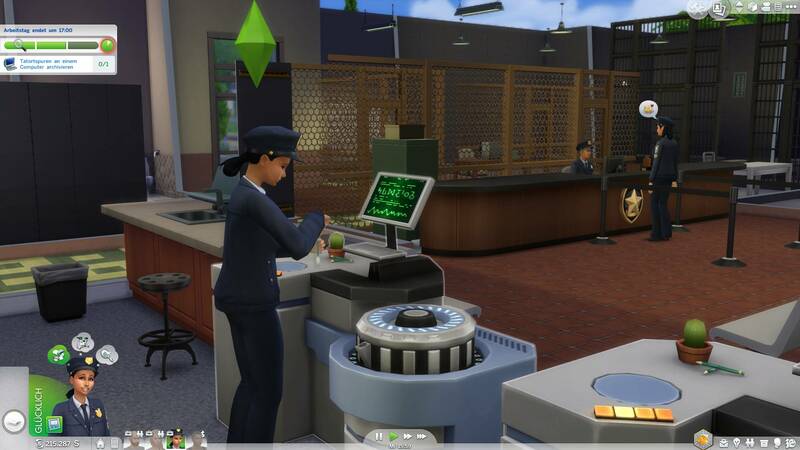 Usually you go to the Sims in the diagnostic rooms but I’m assuming that you can also go up to those standing in line and get them started as you can in the police career. My Sim was called to an emergency where a Sim had a break down in the reception hall and needed an immediate surgery. Luckily my Sim was successful..
Sick Sims have blue and red hearts above their head and I’m guessing that indicates how important it is to attend to a patient. 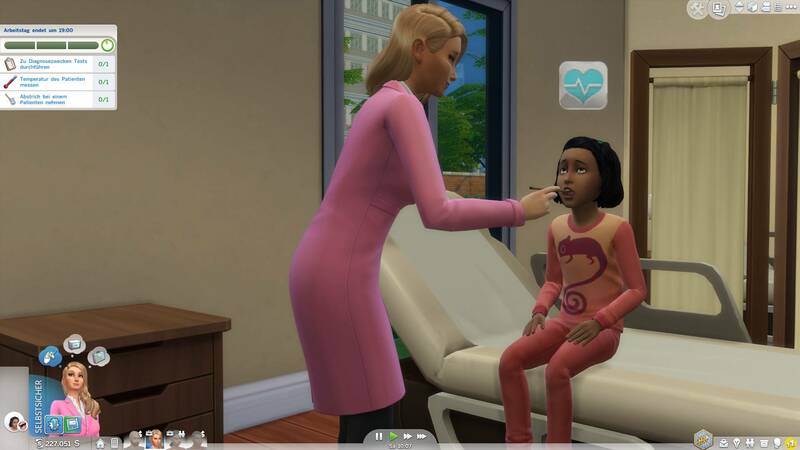 The doctor can do many different tests like taking the temperature, examine ears and eyes, ask the Sims how they feel or they can X-Ray the patients or have them run on the treadmill. The more tests you do, the more certain the you are with the diagnose. You get the option to diagnose after a few test but you’re still unsure and you can choose between 5-6 sicknesses. If you do more test, the number reduces. Once you diagnosed your patient, you can heal him. You’ll get a number of things you can try from giving medication, to doing a shot and having surgery on him. If you’re successful, the patient is healed, if not, you can run more tests (if you’re lucky). I don’t know if doctors can go on house call but there are emergency situations where you go on other lots to attend to patients. 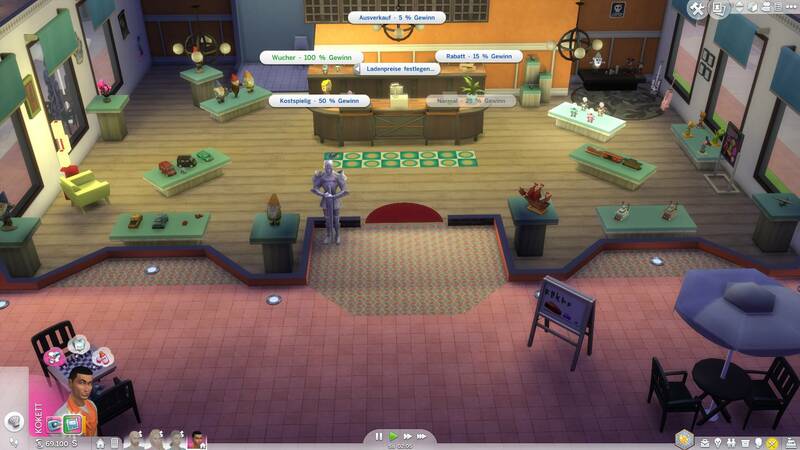 Scientists can invent Serums which you can try on your Sim or others as well as many useful objects. With one if the gadgets you can transform objects (that can catch fire in the process like for me) and as I understood it, you can also transform your Sims to Aliens. I tried the other way round but that wouldn’t work. Unsure if you can’t transform Aliens into Sims or if the transformation was just unsuccessful. Aliens basically work like we know it: UFO flies over a lot and abducts Sim who can come back pregnant if he’s male. So we will have alien babies again. On top of that you can also create aliens in CAS and there’s an alien world, which is basically a hidden lot. To get to the hidden lot, you can use a gadget the scientist can create or if you’re an alien, you can just go home. The gadget is transportable so you can put in your inventory so it can be used in a different place then the science lab. The new lot is full of new collectibles and you can also meet aliens there. 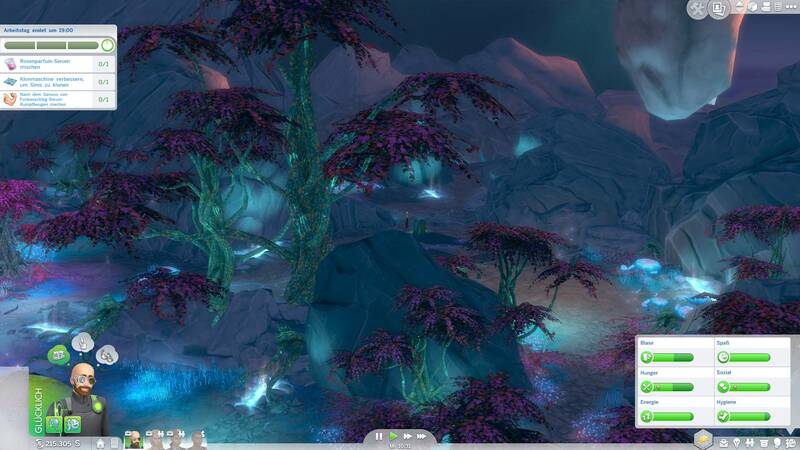 It can happen that aliens are seen around Oasis Spring, Willow Creek oder Magnolia Promenade. This time the can even disguise themselves as normal Sims and when you see one on the street, you can’t tell the difference. Some Sims can see beyond that though. Not sure if they need a special trait for it or not though. The most anticipated feature is probably the retail aspect of Get to Work. I did try it out, but only already made lots and wasn’t able to cover everything. I did try to get all the questions answered though. Magnolia Promenade, the new world comes with 3 already created lots (in our save games it was all 4). Families can buy these through the phone (buy retail). 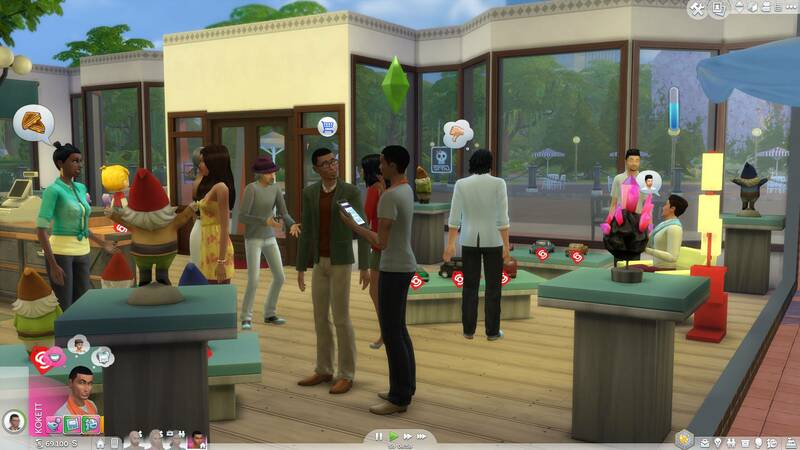 Shops belong to the whole family and not a single Sim. A family can have as many business as they want (and can afford of course). You can build shops in every world except Granite Falls since this a destination lot. After buying a retail shop, you need to add money to it to buy stuff and pay the employees. You can do so through a new button next to the Sims portrait. A window will open that allows you to move money back and forth between your household funds and your retail store. The day starts when you want it to start. You can open/close your store through a button in the lower right corner. There are no opening hours though. It’s more of a sign you can flip saying your store is open or closed. If you choose to do so, you can keep your store open 24/7 if you only want to play that lot. Sims can do almost everything on their retail lot they can do at home. One of the few things they can’t do is paying their bills. Besides opening/closing there are also a lot of other details you can set. You can hire employees that have a certain experience, you can buy ads space, read your financial report, set your employees clothing or simply sell your store again. Stores only sell stuff if at least one family member is present. This does not go for inactive families. If you have more than one family, you can have them own a store too and they’ll get money from it while you are not playing them. You can have up to 3 employees per store and you can set the interaction they should be doing like sell stuff to customers, clean dirty shelves or restock. Each employee can have one task at any given time. All your family members can also help out and after greeting a customer they have several interactions available to convince the customer to buy. Sold items disappear and are replaced by a sign. To restock the item, simply click on the sing and buy a new item. If you don’t want to restock, it’s best to remove the sign so that an employee doesn’t restock it for you. You can restock each item but items you buy this way have usually less value then if you collect them yourself. Craftable items like pictures, books, photos and woodwork items can be copied if you don’t want to make a new one all the time. They loose in value if you do though. You can sell almost anything. Exceptions are things that have slots like display cases, rugs, plants that are ready to be harvested or fish bowls. Seems slots can lead to problems. You can for example sell tables but not if they have something on it, same with plants, you can sell them but not if they are bloomin. Customer can walk around freely in your store (there is no possibility to lock doors) but they are pushed to stay in the rooms that have stuff to sell. If they’re needs are low, they might wander off. Once a customer is ready to buy something, you’ll see a little shopping cart above his head and your Sim or one of your employees can close the sale. They don’t go up to the register and the stuff isn’t added to their inventory either. The reasons being that if there’s a lot of stuff in a lot of inventories that can bloat your game. If you don’t own a store, you can go in but I don’t know if the stuff bought will be added to your inventory or not. 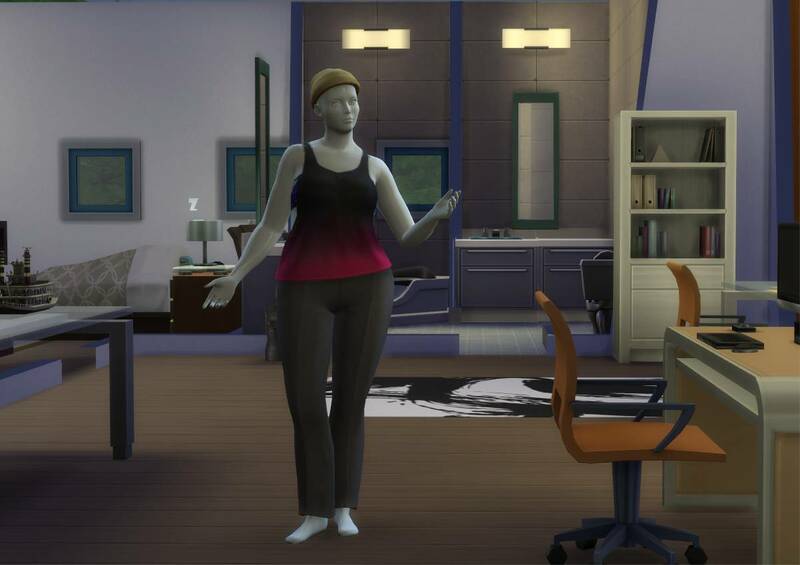 If you want to sell clothing, you can buy a mannequin and dress her in CAS. Mannequins come in several shapes so that you can have one for your bigger Sims too. Sims will then copy the outfit on themselves to try it on. I did not try the bakery. 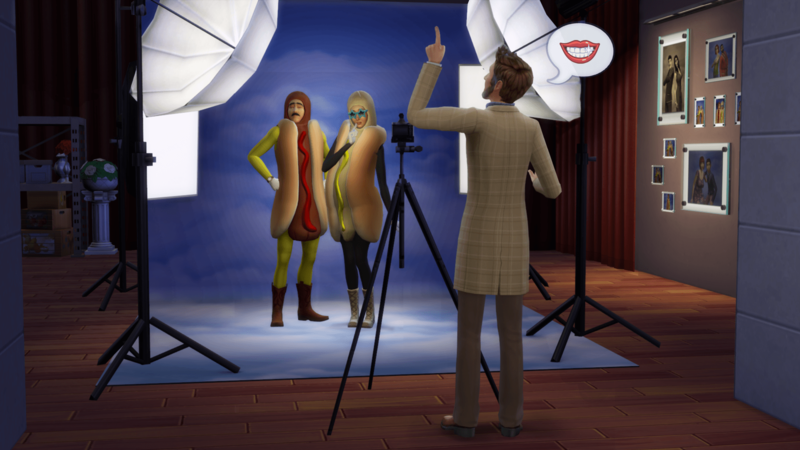 There’s quite a few new items for photography so you can build your own photo studio. There’s several cameras and the phone has new options to take selfies, others Sims or your surroundings. There’s several possibilities to change stuff. There’s filters, you can change the orientation, add a flash or turn the background. Photos you have taken will be in your inventory where drag them to the wall to hang up or you can sell them in your own store. The first addon has lots of new stuff and I liked the retail aspect of the game. I do have to say that I never played OFB so that opinion might not be shared by OFB fans. I do think most will be quite happy though. There’s still no way to lock doors and there are no home businesses but I do think the devs tried to give us as much freedom as possible. Better get less aspects right then none at all, right ? I was a bit disappointed by the detective career since I had hope there will be something to puzzle over but since I wasn’t able to test it throughly and didn’t have a case, it might be better than I had the impression at first glance. There wasn’t really a story behind the cases but maybe that aspect will be loved by others since you can make up your own stories. The doctor career was very hectic and my surgeon was very inefficient since she was tired and hungry. At the end of the day, most patient had run of. It was almost impossible to mange without make happy cheat since there was not time for something else. Maybe this gets better if you have more experience how to play it. I can’t say much about the rest since I only tested it shortly. The work days were generally much too short. The new world is also a disappointment. Would have been nice to get a few more lots, even if they are empty. All in all I think Get to work will be a good expansion and I hope the bugs and problems I encounters won’t be the ones I need to add to the list.